Ribbons are a simple yet fun way of transforming your car and there are heaps of possibilities. You could opt for chic white ribbon for an elegant style, or you could opt for rainbow-inspired ribbons to give your car a splash of colour. Tie the ribbons to the bumper, door handles or even the side mirrors and they’ll look incredible as you drive off as man and wife. Balloons are making a comeback in a big way. 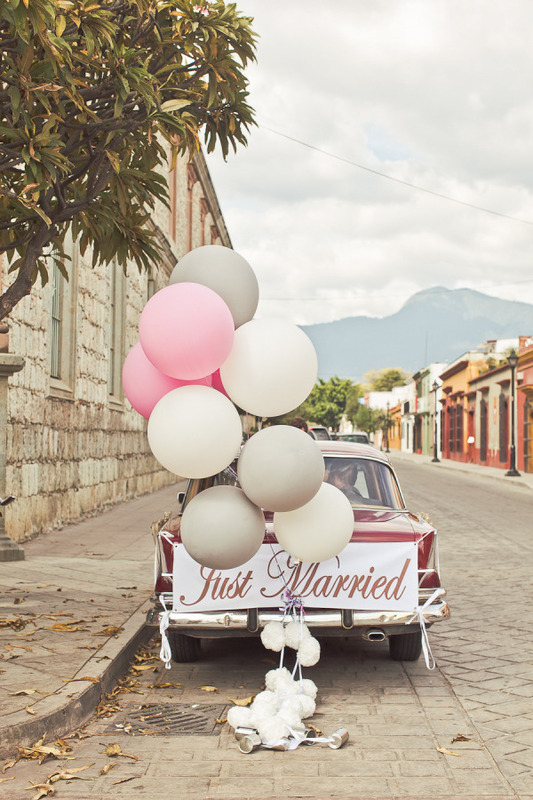 You can tie lots of colourful balloons to the boot or roof of your wedding getaway car – just be sure they fit in with your colour scheme. You could even choose balloons that have ‘Bride & Groom’ or ‘Just Married’ printed on them. 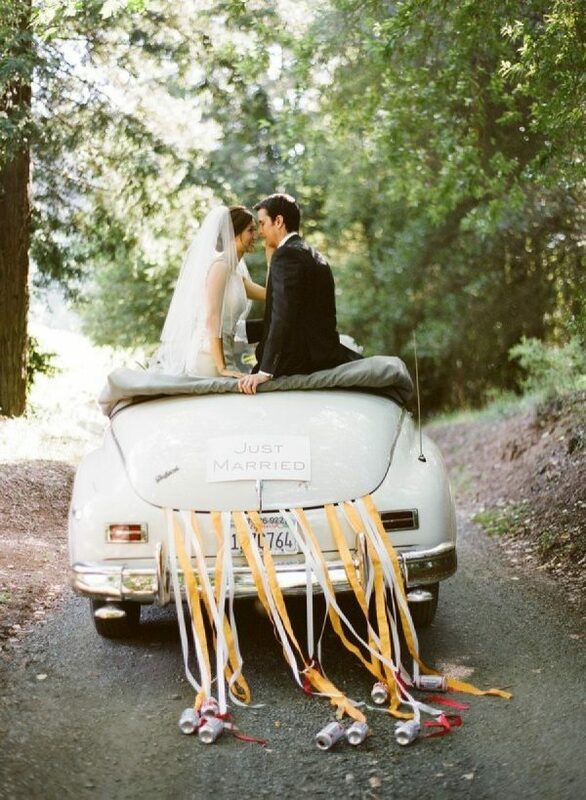 Why not double-up and use the balloons as props and decorations throughout your wedding day too? 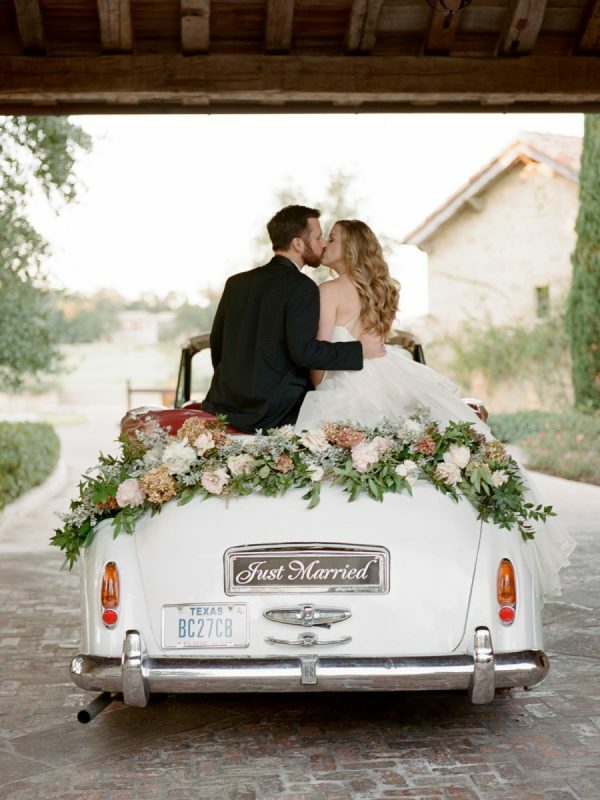 We love the thought of a classic ‘Just Married’ sign or bunting attached to the bumper of your wedding getaway car. You could even add balloons, ribbons and blooms into the mix for a touch of extra decoration. Why not use the sign or bunting as part of your home décor after the big day? You’ll have the fondest memories. 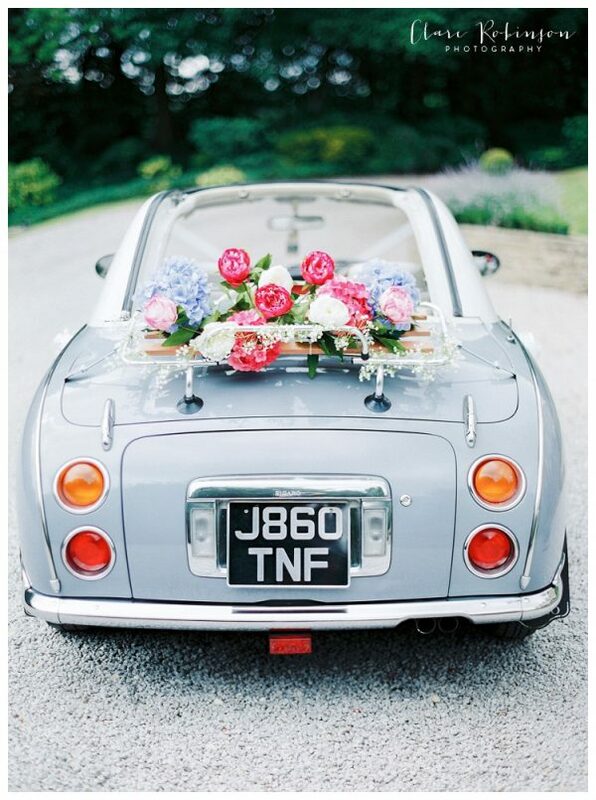 Take inspiration from the beautiful gardens at Pynes House by using a floral or foliage garland to decorate your wedding getaway car. Match the flowers to the ones used in your bouquet and your table centrepieces so that your theme ties in together effortlessly. 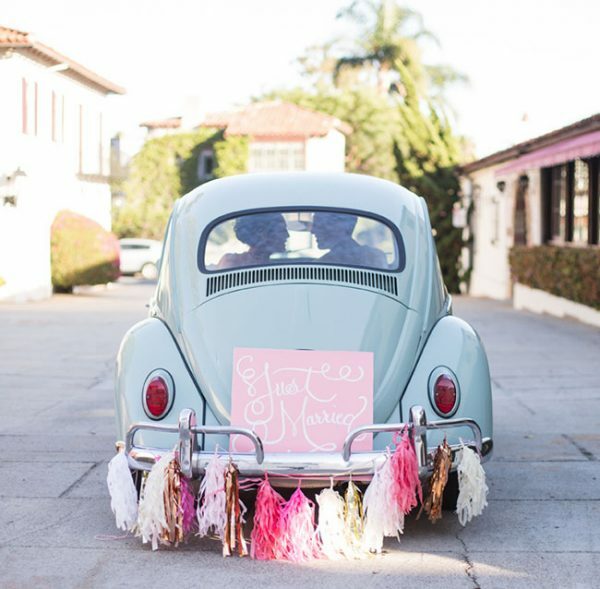 Many couples use pom-poms or tassels to decorate the ceiling of their wedding venue or as alternative chair covers, but who says they can’t be used to decorate a wedding getaway car. They’ll look fabulous tied to the back of the car in a range of colours. The traditional decoration for a wedding getaway car, tin cans trailing from the bumper are still a hugely popular choice for brides and grooms. Why not ask your bridal party to write little messages on each tin can? They’re bound to put a smile on your face!